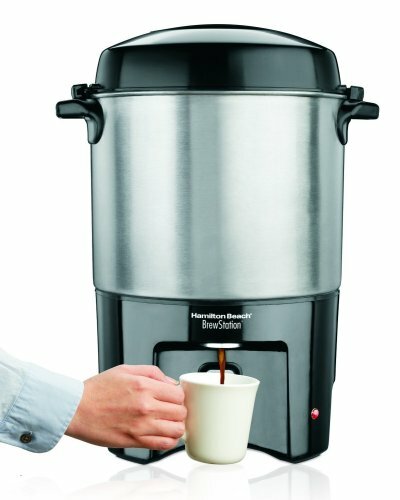 The Hamilton Beach® BrewStation® 40 Cup urn offers one-hand dispensing, so there is no need to put down a buffet or party plate to fill up a cup of coffee. 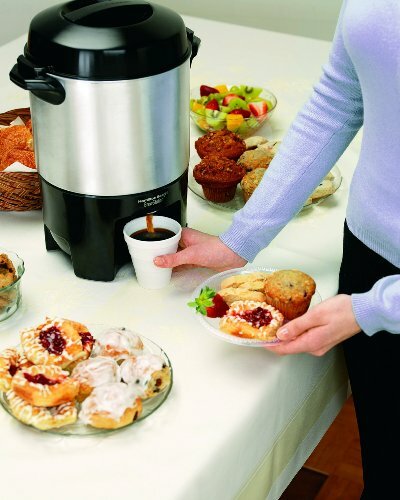 In a busy buffet line, that means cups can be filled faster, saving time and reducing crowding. 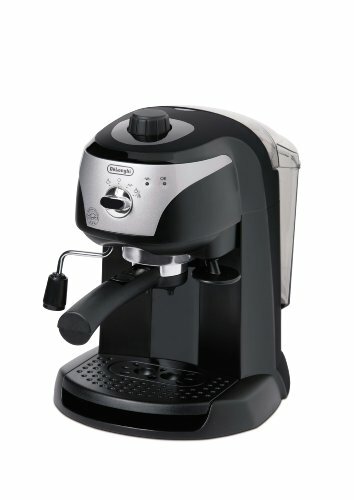 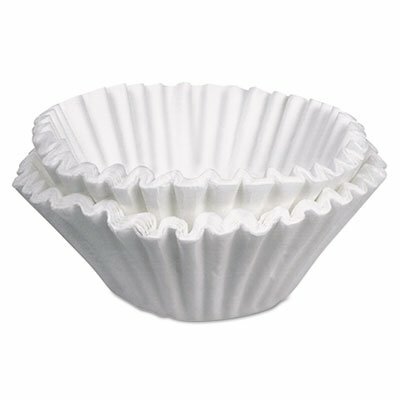 Disposable cups are never a problem, either – the dispensing button was designed to work with foam as well as classic ceramic cups. 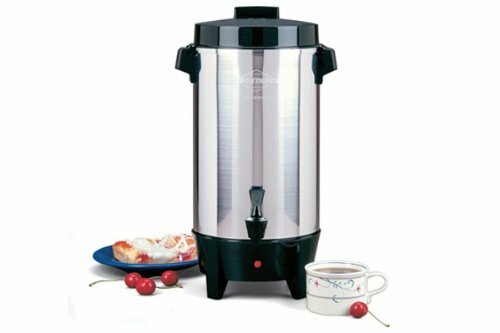 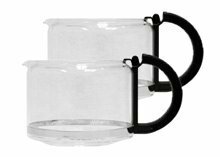 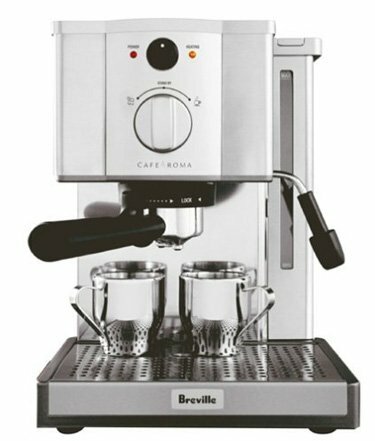 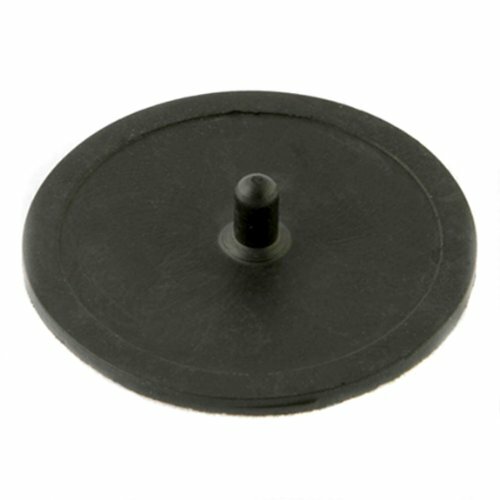 For added convenience, the dispensing area has a higher cup clearance than most urns and the drip tray removes for easy cleaning. 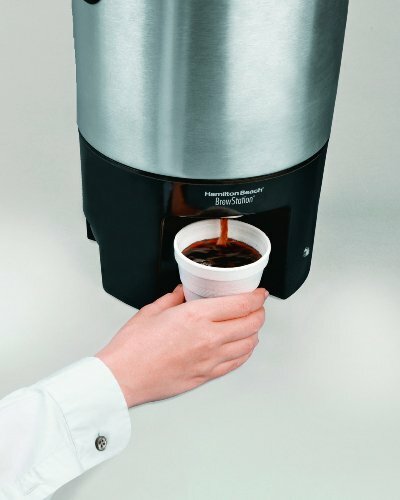 The last drops of a 40-cup coffee urn have rarely tasted as good until now. 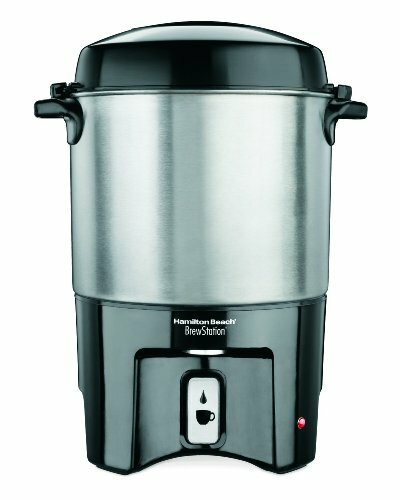 In the BrewStation® urn, a powerful center heater brews the entire tank quickly (45 seconds per cup versus the normal 60 seconds). 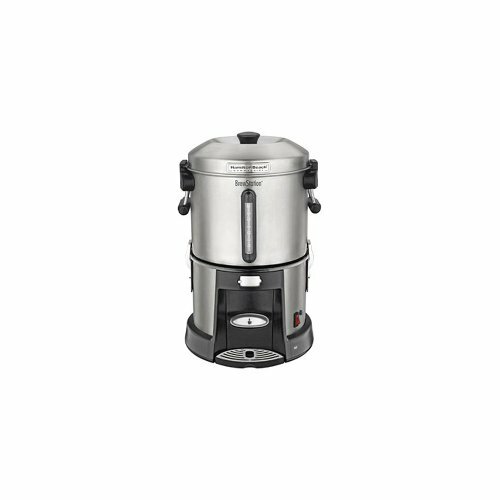 Once brewed, the center heater shuts down and a gentle, keep-warm heater maintains a perfect temperature without scorching the coffee. 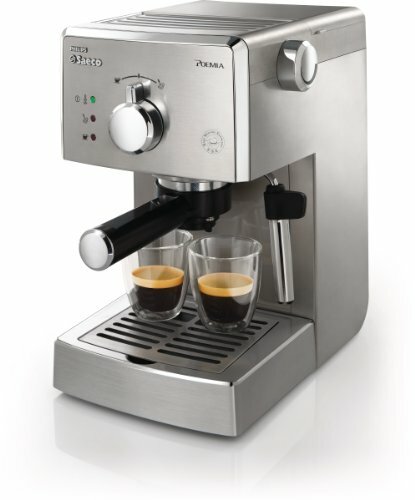 Coffee tastes great longer, from the first cup to the last.